Right-wing internet personality Joe Biggs tweeted at Swalwell in response to a May report that Swalwell wants to ban “military-style semiautomatic assault weapons” and prosecute gun owners who did not turn in their newly-banned weapons. Despite the earlier suggestion that the government would go to war with its own citizens, Swalwell mocked gun owners who believe they need guns to protect themselves from a tyrannical government. Swalwell accused this reporter of “lying” after an attempt to characterize the congressman’s arguments in the thread. You’re just lying. And inflaming the issue. But hope you get more followers! 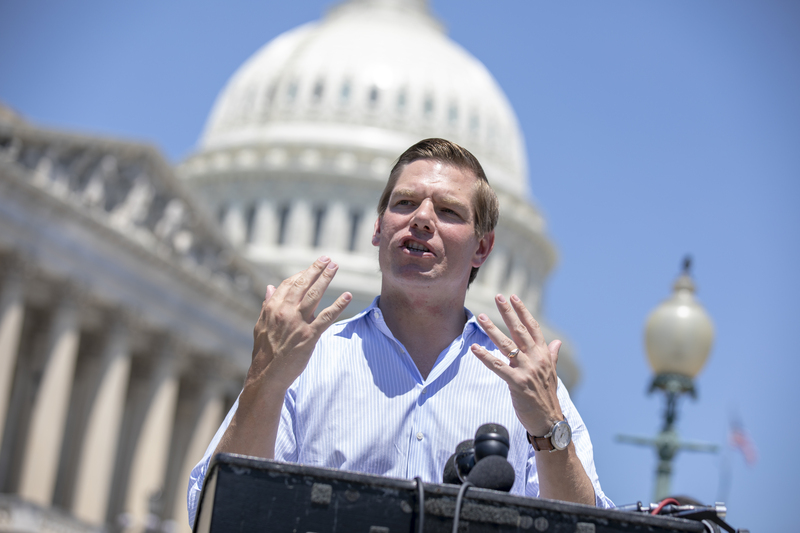 Swalwell said in August that he would consider a 2020 presidential run after the 2018 midterm elections.